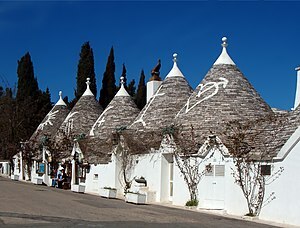 Italy Magazine says Trulli is a very unique place to visit. Trulli is in the southern part of Italy in the Puglia region. The magazine says, “Dotted across the landscape, alone or in clusters, with one cone or even a dozen, they look like miniature rustic fairytale castles – Asterix meets Disney.” Just look at the homes in the picture. They have been described as Italy’s farm sheds. Isn’t this a place you would love to visit? What a romantic place to spend time together.